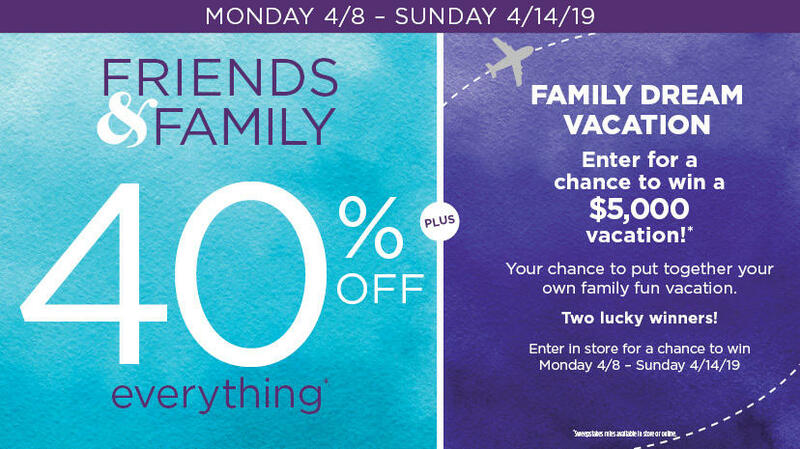 Friends & Family 40% Off Event is Here! Enter to win a Family Dream Vacation of $5000! Friends & Family going on NOW! PLUS Enter to win a Dream Vacation! Two Lucky Winners!